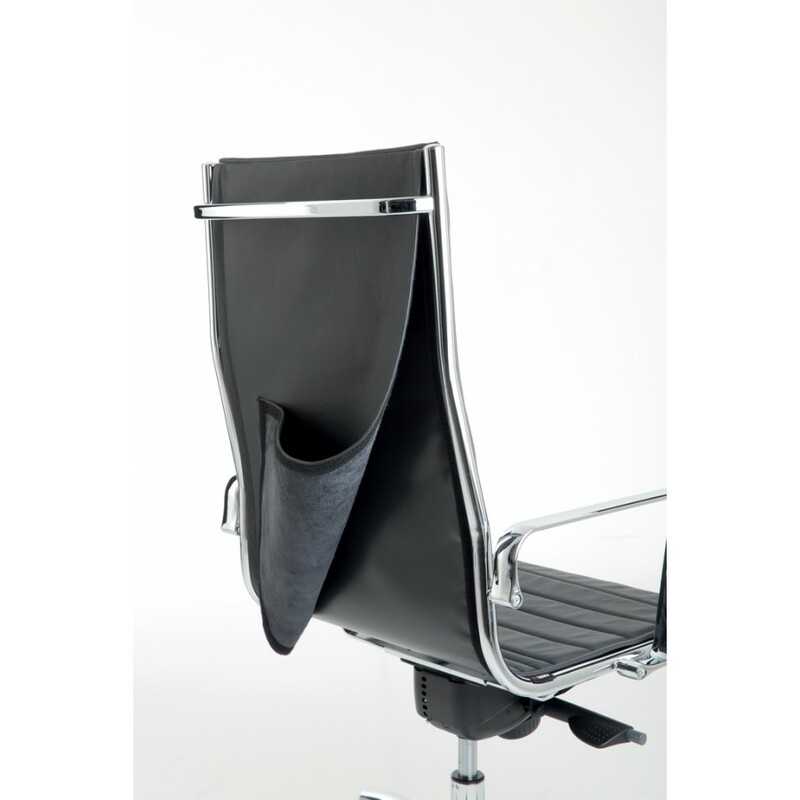 Fabric/Leather executive chair Light by Luxy. 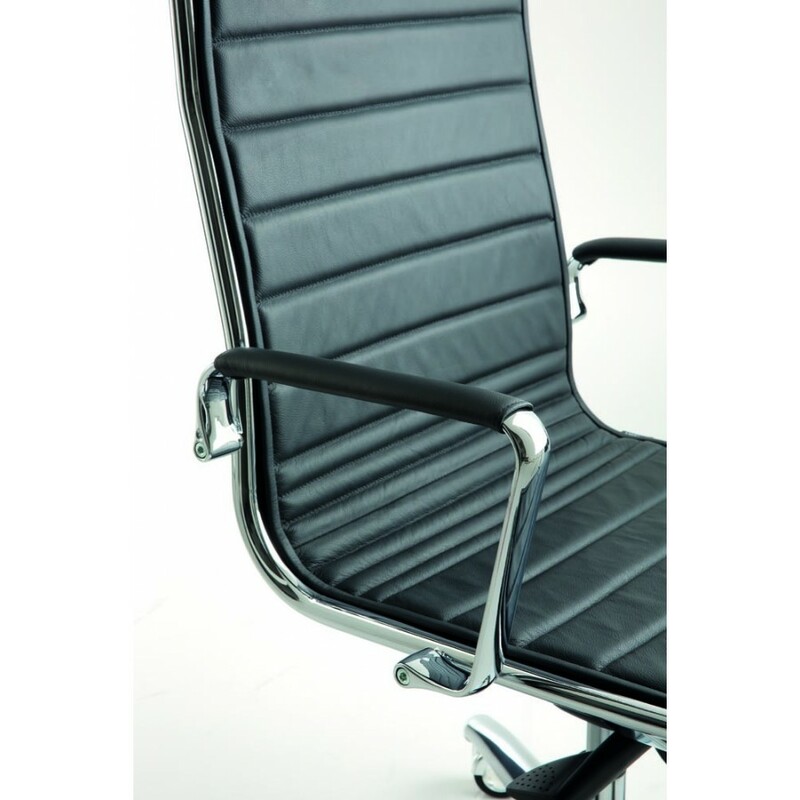 Executive chair with high backrest, chromed-aluminium armrests, decentrated multiblock mechanism, polished aluminium base. 3. 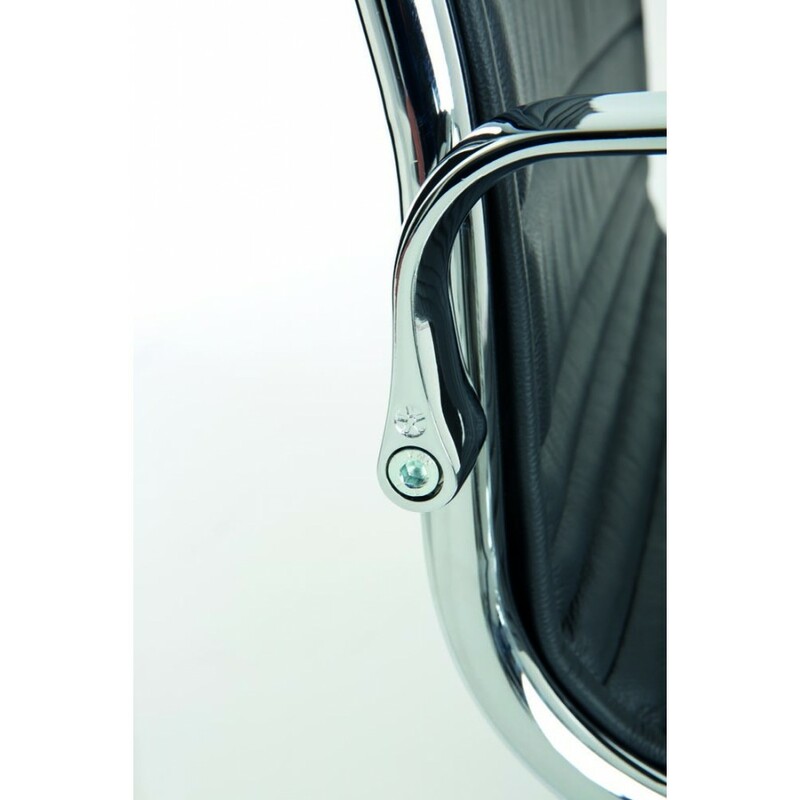 Locked backrest: choose the inclination angle of the backrest best suited to the task, press the button and lock it. To change the angle, press the button and with a slight pressure of the spine push the backrest (anti-shock device). 4. 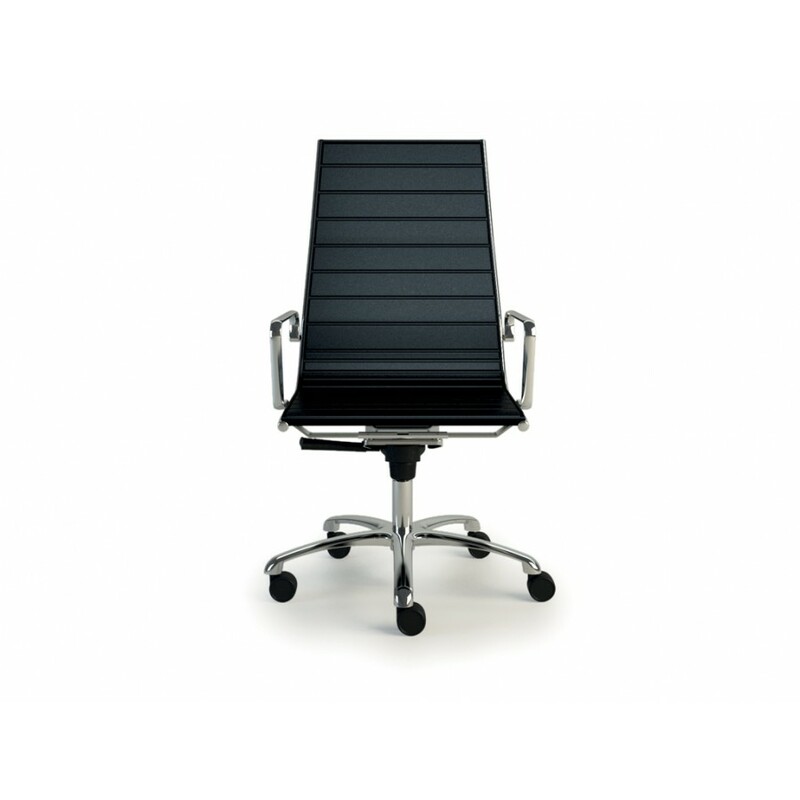 The movement intensity of the backrest can be adjusted according to the user's weight. View the colour folder and enter the code of the chosen colour in the appropriate box. The Light collection is a synthesis of how elegance and efficiency can be matched together. 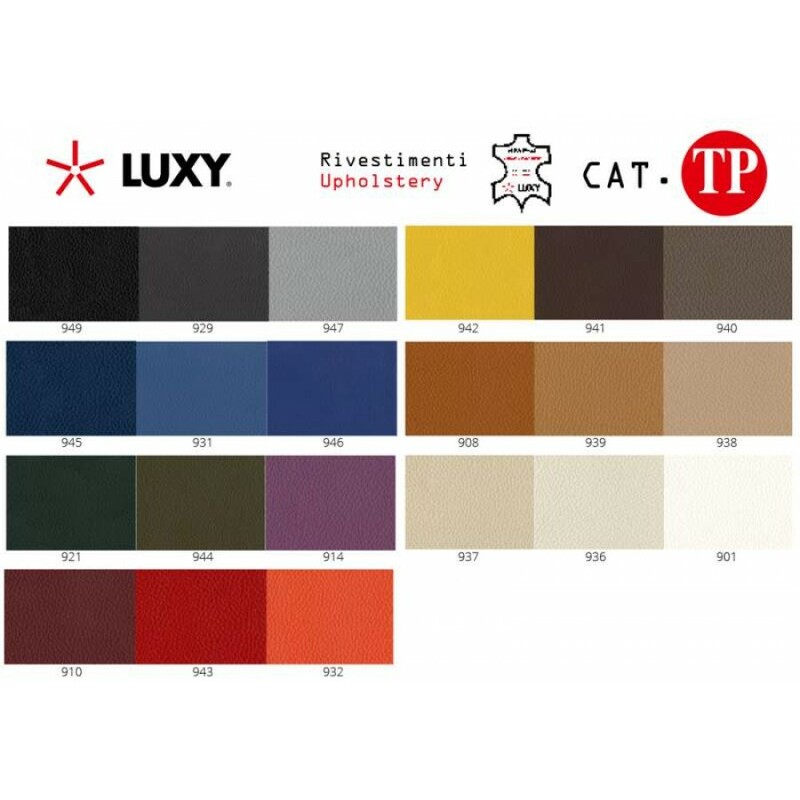 Special attention has been given to the aesthetic definition of the aluminium details which can be found in every model: comfortable solutions for task seating, executive offices and for home office use. 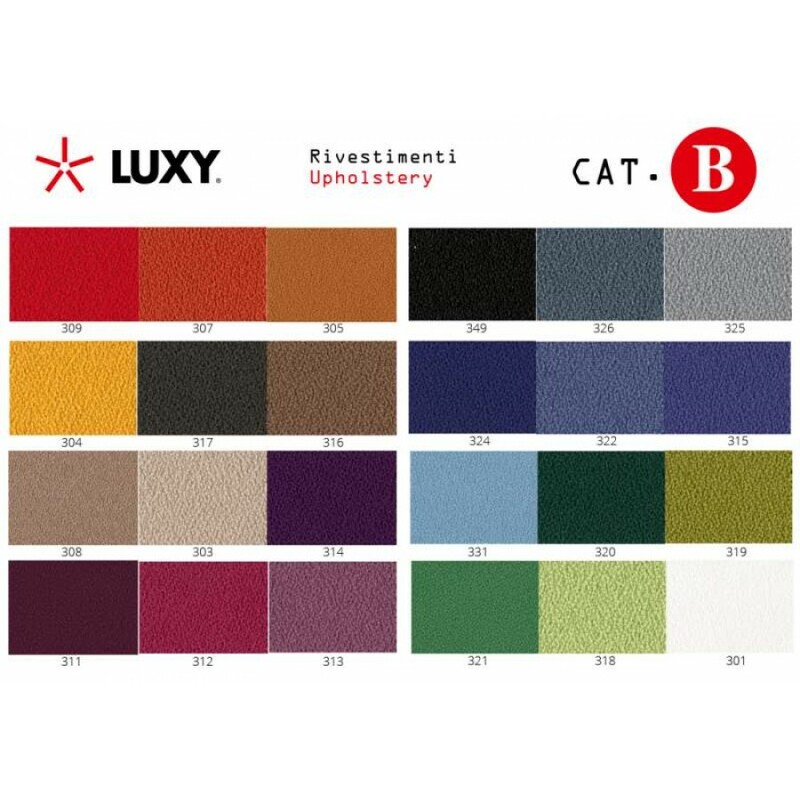 The wide range of bright upholstery, resistant nets and top quality leather complete the wide selection for the right and perfect model.